In this age that we live in with the air the way it is and the diets that we have, our skin has become dryer than ever before. To combat this we have come up with a recipe for a scrub that removes the layer of dry skin without being too abrasive AND without salts OR sugars. It is gentle on all the sensitive areas of the body and helps tighten the skin, which can help reduce the appearance of cellulite, beat acne and relieve signs of premature ageing. All this to help you become one with nature. 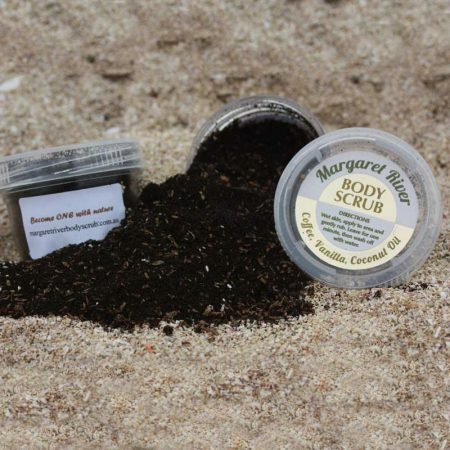 Margaret River Body Scrub, is a company that prides itself on 100% recycling and a commitment to zero waste in order to leave the smallest carbon footprint as possible. We offer discounts on any purchases that keep this interest at heart wherever possible. Recycling bottles is a good practice. We source our oil from manufacturers that cold press the coconuts so the structure of the oil doesn’t change. It also insures that no impurities enter the oil during the processing stage insuring that it is 100% coconut oil. Coconut oil is extracted from the kernel or meat of mature coconuts harvested from the Coconut Palm Tree. It is technically called a ‘drupe’ not a nut. It is found throughout the tropics and the subtropics. When the ‘white part’ is dried it is also known as ‘Copra’. The oil is processed from the flesh before it is dried then the copra is churned into desiccated coconut. It is predominantly harvested from Indonesia, Philippines and India. They are harvested by the ‘Pig Tailed Macaque’. That’s right… a Monkey. They have been training them for the last 400 years and this style of farming is traditional to the local people of the farms. The only edible Orchid in the world. The vanilla vine was first found in Mexico were it is native. The original Vanilla vine remained in Mexico due to the Melipona bee. A long time ago they tried taking the plant out of Mexico to cultivate it in other countries but due to it not being able to be pollenated, these efforts failed. One day in the mid 1800’s, a 12 year old slave from Reunion realised you could pollenate it by hand. Now 3 major species are grown predominantly in Madagascar, Reunion, Central and South America and is still to this day the second most expensive spice next to Saffron. 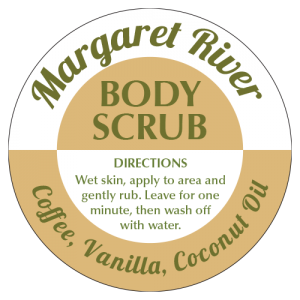 At Margaret River Body Scrub we use an authentic vanilla essence. It is still extracted the traditional way since the late 1800’s and that is why we use it. To give our product history and keep the old values alive in a new product. Coffee beans, which are the seeds of the berries from the Coffea plant are native to tropical Africa , Madagascar , and Reunion. The plant was exported from Africa to countries around the world and coffee plants are now cultivated in over 70 countries. The two most commonly grown are the highly regarded Arabica, and the more hardy Robusta. Once ripe, coffee berries are picked, processed, and dried. Dried coffee seeds (referred to as beans) are roasted. Roasted beans are ground and brewed with near boiling water to produce coffee as a beverage. The used grinds are then discarded from the brewing machine. These are the grinds used in the production of our scrub. 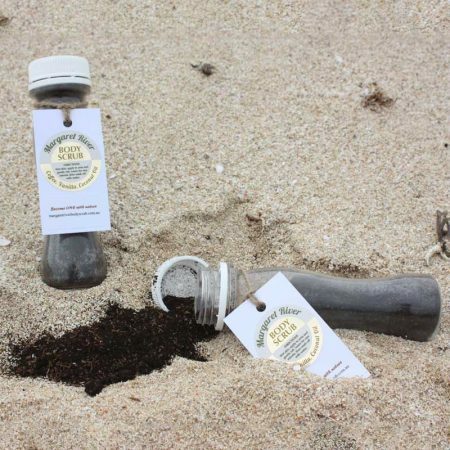 Margaret River Body Scrub are very careful in choosing our expired grinds to make sure they are 100% fair trade and salt and sugar free. 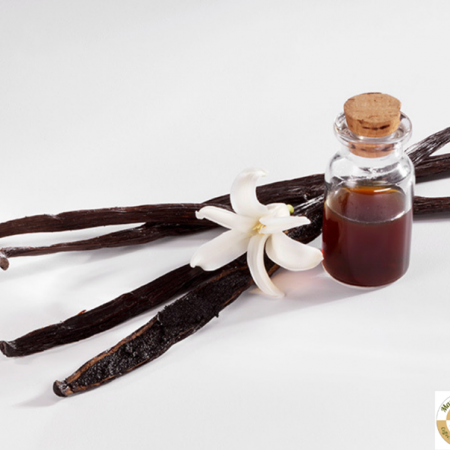 Vanilla essence has antioxidants, is an aphrodisiac and has proven to be one of the most relaxing essences in the world. This is one of the main reasons why it is used in Margaret River body Scrub. When the scrub is rubbed in and left on the body, the vanilla absorbs into the skin and has been proven to have calming effects on the brain and the nerves that provide relief from anxiety, anger and restlessness. The next step of our research is directed at creating a scrub that is SALT and SUGAR free. Our research shows that salt mixed with oil makes the oil dissipate quicker. Our oil stays on your skin for up to 8 hrs after a rub and rinse. 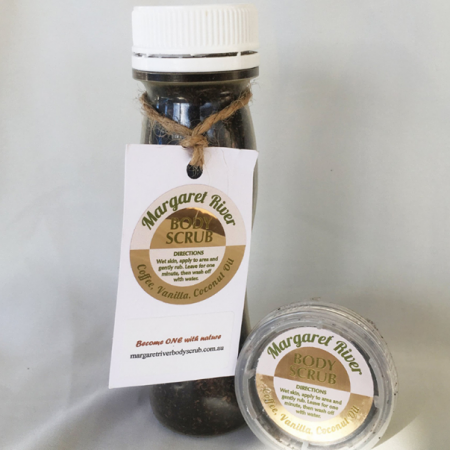 We have enough salt in our diet and this can leave our skin dry, so it was important at Margaret River Body Scrub to create a SALT FREE body scrub. 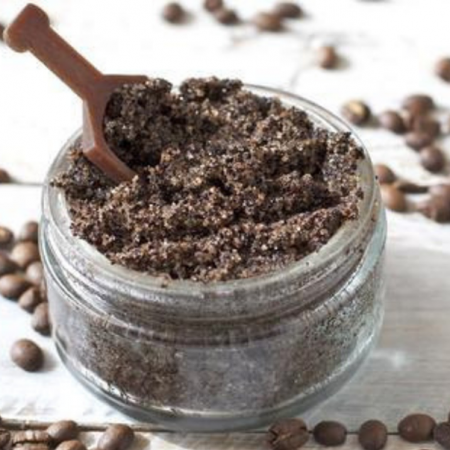 Some research online points to other body scrubs putting salt in the scrub as a preservative. 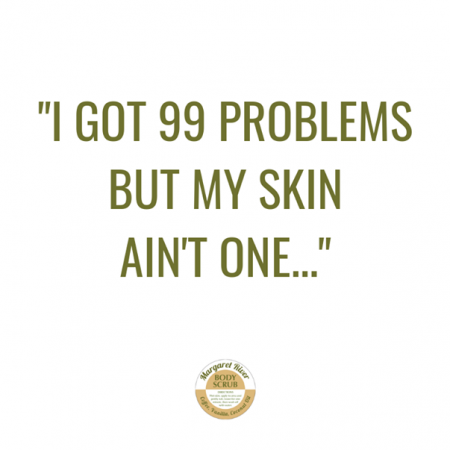 We have found that Potassium Sorbate can be added to increase the shelf life which has been tested on the owner and everybody else here at Margaret River Body Scrub team and also on other local skin enthusiasts which we have had positive results through and through.